Weekend Roundup “Y” | The Happy Wonderer ~ ellen b.
It’s time for Tom’s Weekend Roundup “Y”. 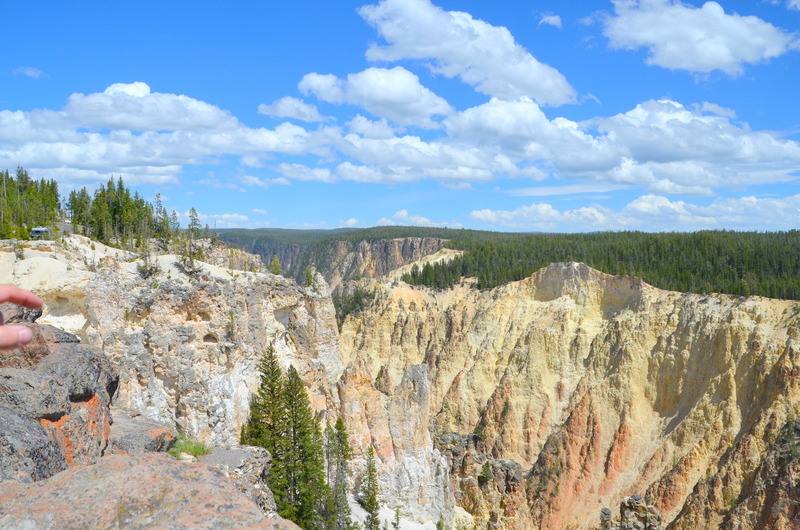 Yellowstone National Park with it’s yellow stone walled canyon. 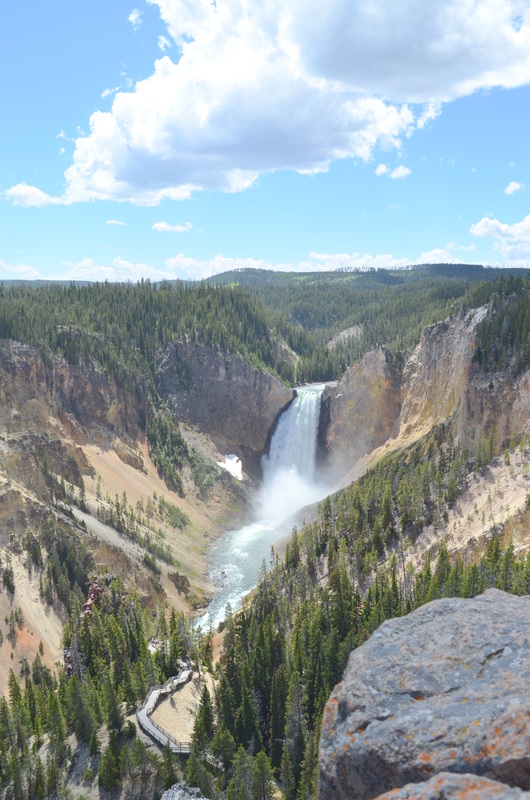 The real view of part of the Grand Canyon of Yellowstone with the Lower Falls and an artist rendition below with the yellow stone enhanced. 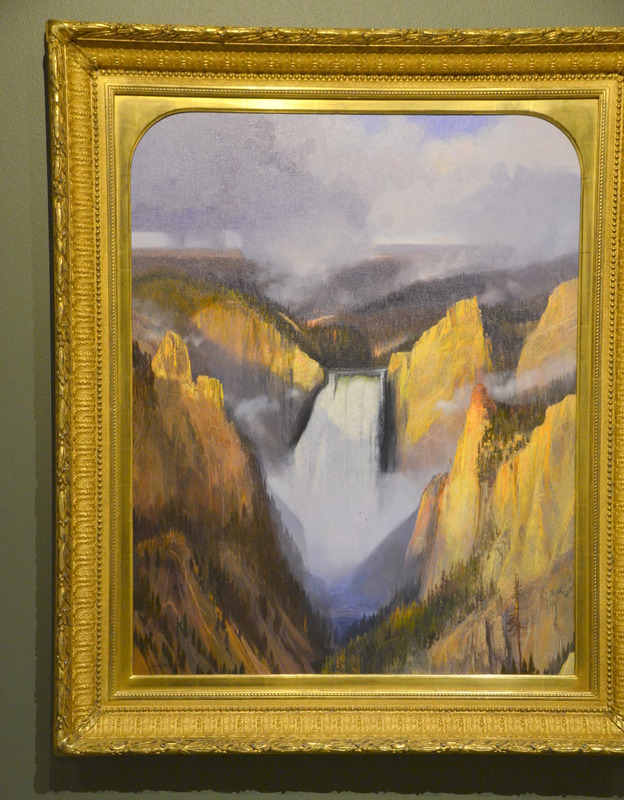 This artwork is displayed in Cody Wyoming at the Buffalo Bill Center of the West. One of my original posts about Yellowstone can be found here. 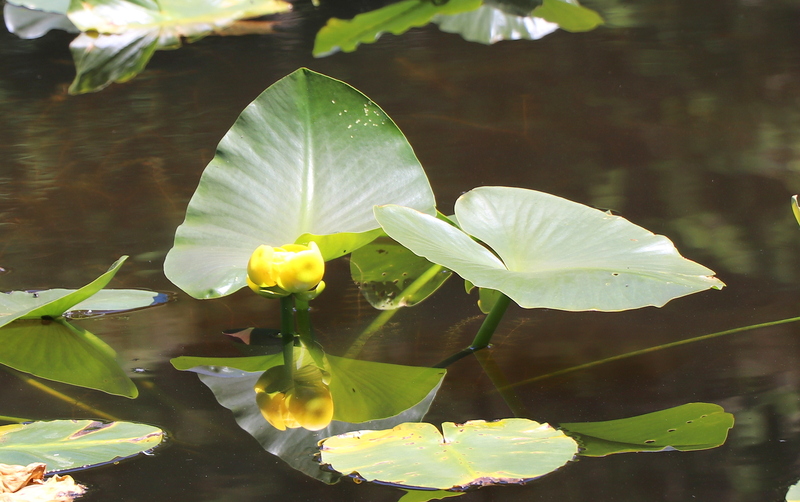 A yellow budding water lily and it’s reflection in the water. A bush filled with yellow blooms. Sorry I don’t know the name of it. Have a wonderful first weekend of summer y’all. Posted on June 22, 2018 by Ellen •	This entry was posted in Meme and tagged Buffalo Bill Center of the West, Coupeville Wa., The Grand Canyon of Yellowstone, Weekend Roundup "Y", Yellowstone National Park. Bookmark the permalink. …’Y’ellow, ‘Y’ellow and more ‘Y’ellow, neat! ‘Y’ellowstone is a spot for me to see one of these days. Great waterlily and little robot. Your last one looks like potentilla on steroids. Thanks Y’all. I need to remember that one! Yellowstone is a great place! We’ve been once and stayed almost a week, want to go back again! I didn’t even think of it for the letter “Y” All your photos are awesome, Ellen. Next, it’s on to “Z” then I guess we start over! Have a good week! Great Y post. Love seeing the pics of Yellowstone! Nice yellows, Ellen. We have a bushy area by our mail boxes of that same flower. I put it on an alpha post last year asking what it was, no one knew. It has been a long time since I’ve been to Yellowstone Park. Thanks for bringing memories. Oh yes, the yellow fire hydrant . It looks really nice beside the red barn/shed. A very good selection of images with Yellowin in them .and my favourirte is the water Lily Ellen Have a great weekend. Wow the falls is beautiful. Hello, I love Yellowstone, gorgeous shot of the falls. 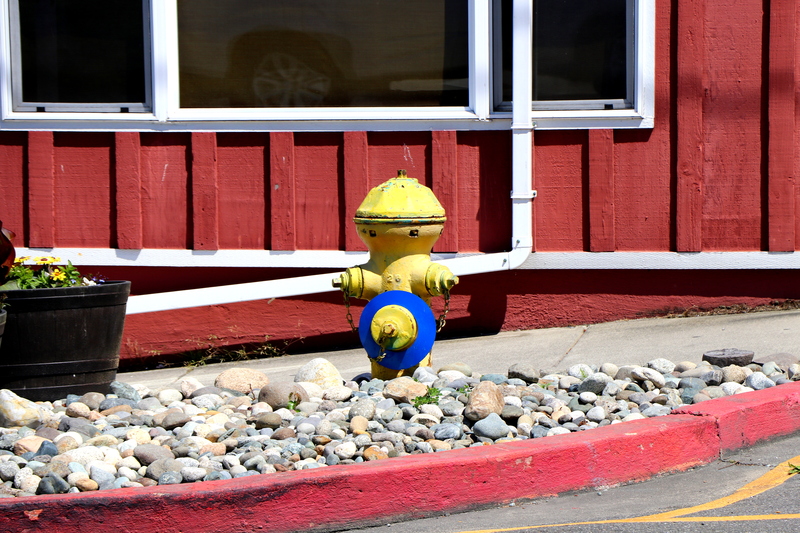 The fire hydrant does look like a robot. The yellow flowers are beautiful. Great photos for the “Y” theme. Happy Sunday, enjoy your day and have a great new week! YELLOW! Such a cheery color! 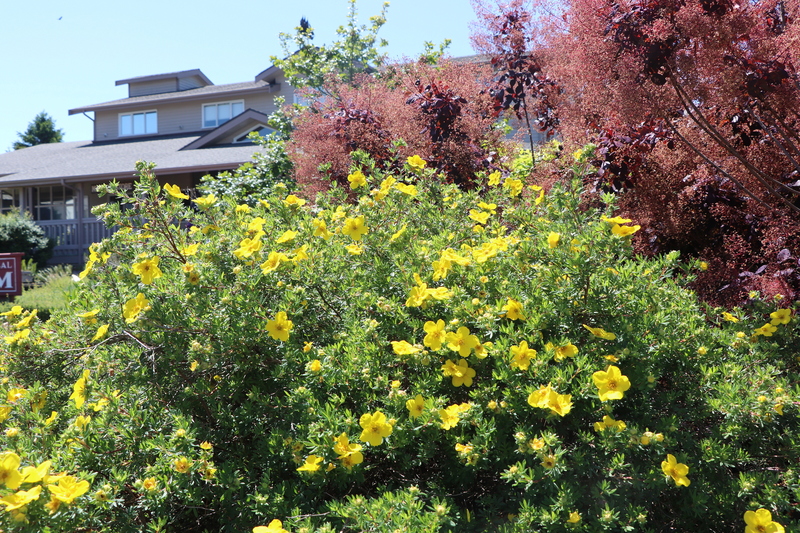 That shrub looks like a cinquefoil. We have a lot of them around here!